Overtime: Maltese is a professional speaker, trainer, and author, specializing in improving the quality of AV design. What’s in a name? Plenty, if you’re Mario Maltese. Trainer, advisor, and prolific industry speaker, he is still learning after many years in the AV industry. Festooned with an array of letters after his name—CTS-D, CTSI, CQT, CQD—Maltese is perhaps best known as executive director, AQAV (The Association for Quality in Audio Visual Technology), the organization defining standards—AV 9000—for quality management systems, providing training on quality issues, and offering appraisal audits of AV systems and AV companies. The non-profit is dedicated to improving quality in AV design and integration. He also is the author of AV 9000: Defining Quality in Engineered Audio Visual Systems, a proposed standard for defining quality in engineered audiovisual systems. But wait, there’s more. 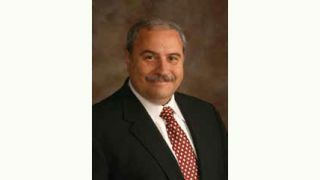 Maltese is the CEO/co-founder of AVR (Audio Visual Resources), providing third-party AV commissioning based on the AV 9000 Quality Management System. The company, ISO 9000 Certified, offers design/build AV integration, testing, verification, maintenance, repair, and installation of some of the nation’s premier audiovisual networks. Since then, there’s been so much more to his career. One of Maltese’s greatest achievements in the industry has been his successful InfoComm high-wire balancing act. Perhaps no one is both such a champion and critic of the organization as is he, pushing InfoComm’s educational arm toward embracing, in its training protocol, what he considers to be the mainstay of the AV industry’s future for system integrators, consultants, and dealers. And that, simply put, is the team approach.